Fighter Control may very well have saved us all from Adolf Hitler. The Fighter Control System was developed by the British, who taught it to American fighter control squadrons such as the one portrayed in Dear Mom, Dad & Ethel, and the real-life unit in which my late father and co-author, Eli Ellison, served. 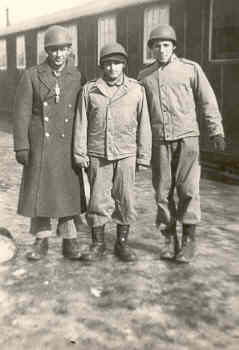 Eli Ellison studied fighter control at Truax Field, which housed up to 35,000 U.S. airmen, and he trained at RAF bases upon arriving in England. Fighter Control was the single biggest factor enabling the RAF to defeat a numerically superior Luftwaffe in the Battle of Britain in 1940. Had Hitler conquered England, he may have been invincible. Fighter Control directed fighter pilots to targets and brought them home when they were lost. Targets for air defense, as in the Battle of Britain, were enemy aircraft. Targets on the ground included bridges, railways, and enemy convoys. 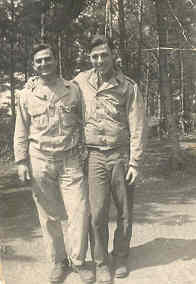 Soldiers manning radio trucks acted as liaisons between lead pilots in airborne fighter squadrons and controllers in operations blocks on the ground. By manipulating a series of dials on his radio equipment, a transmitter truck operator enabled a controller to speak with a lead pilot. Receiver trucks allowed the controller to hear the pilot. If a flyer was lost or hit, three radio vans located his position. Monitoring the signal from the aircraft, each fighter control technician would determine the pilot's angle relative to his truck's location. He then transmitted that information to the controller, who would plot it on a chart. The controller had a map of all truck locations in the area and could pinpoint the pilot by observing where the three angles intersected. Once the controller had a fix on the pilot, he could direct him to safety. Determining angles was tricky. The fighter control technician manipulated a wheel in his radio truck attached to a 75-foot antenna until the pilot's signal reached the "null" or softest volume. This sound was very similar to one emitted from a plane whose bearing differed by 180 degrees. If the radio man supplied the wrong angle, a pilot could fly out to sea, where death was almost certain. Radio trucks were spaced at least a mile apart. If a truck was hit, another vehicle would take its place so that the system could continue to function. To read a real-life history of Eli Ellison's fighter control squadron, go to the Free Stuff Page.